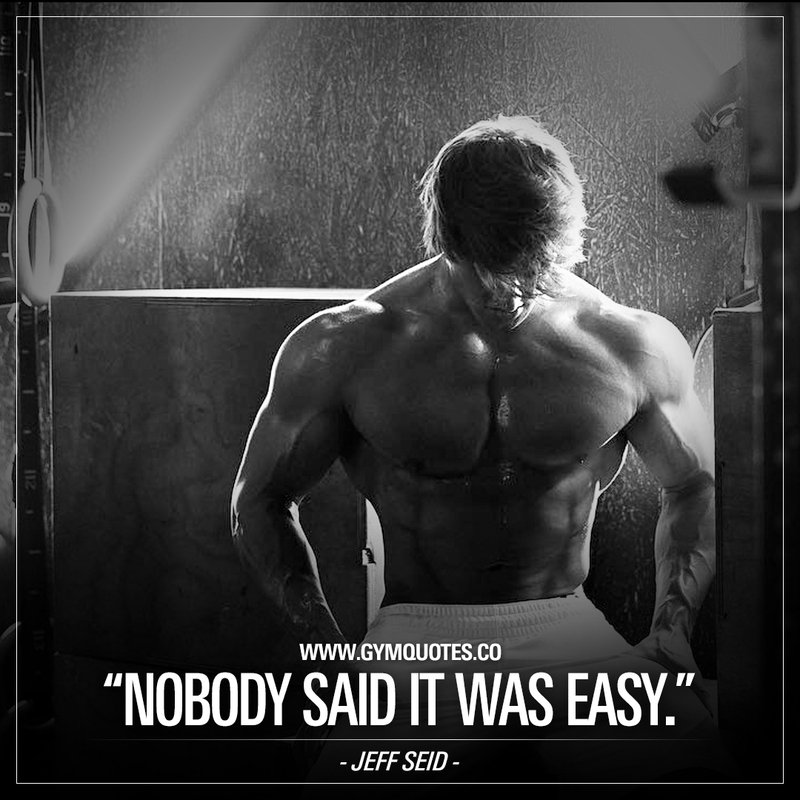 Inspirational gym quotes: Nobody said it was easy - Jeff Seid. It won’t be easy. And it shouldn’t be easy. Nothing worth having comes easy. Don’t expect easy, be prepared to give it your all and you’ll be successful.